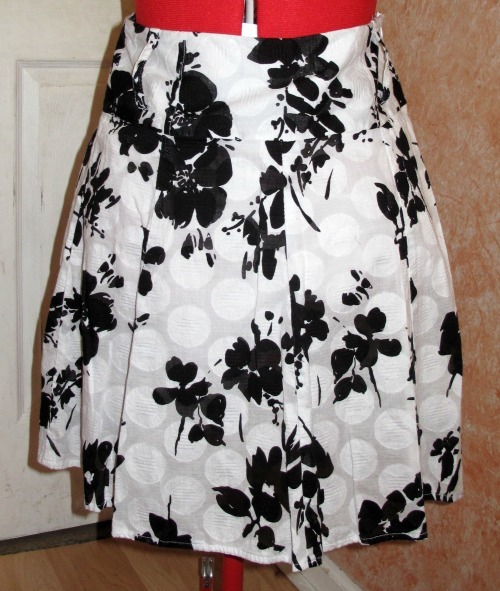 I found this Michael Kors all white dress, with POCKETS for just $6.99. So many possibilities to style this one are swirling in that creative brain of mine! On my wish list right now are some full skirts as I love them in place of shorts for the summer... Not to say I won’t wear shorts, just like the variation in my wardrobe… I love the three colors here that offer me 3 choices in tops without even having to think about it… Actually there are two shades of pink I could do… With a price of just $2.50, this was a no brainer! 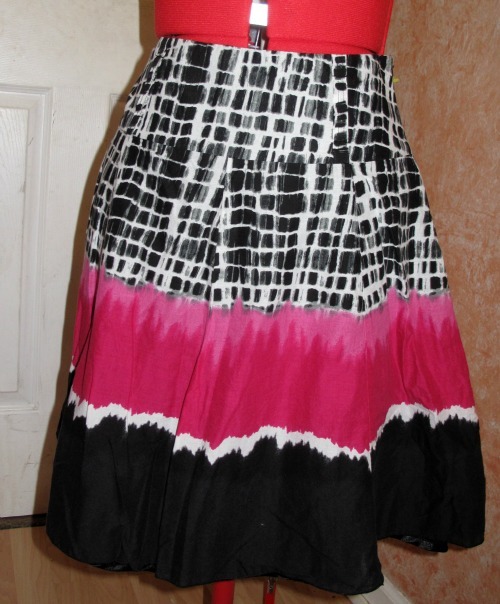 Another full skirt for just $2.50. What I loved about this one was that it has belt loops which is perfect for adding a pop of color. I already tried it with a yellow, pink and green belt! Another versatile piece to play with! And Last but of all is the DVF dress that is new with tags and a thrifted find and gift from a friend! It is no coincidence that while in the Carribean, I mentioned that it was a dream of mine to own a DVF dress! Dear Readers, I consider this a very successful thrifting week as all items have been on my wish list. Do you have a running wish list? My current one involves shopping retail, not thrift and includes, pointed flats, edgey sandals, faux leather vest and other vests, (which can be thrifted finds) Any favorites??? I hope you all have a wonderful weekend filled with laughter, family and friends! Gratitude: I am grateful to my friend for fulfilling my dream of owning a DVF dress! I am grateful that I purchased the Fluidity Ballet Bar last year and still love the workouts and look forward to them. I am grateful to my husband for surprising me with flowers for no special occasion. I am grateful that after being woken up at 4:30 a. m. and 6:30 a.m. by the dog that I fell back asleep and that just by chance my homeschooling child slept in late as well! I am grateful for the test preparation and the opportunity for Connor to see that his instincts in spelling are really good (something I noticed years ago, but he didn’t trust in himself). I am grateful for the weekend and my Saturday plans to hang out with a friend. 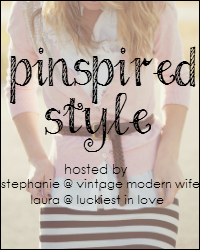 12 Responses to "My Lucky Finds"
The only thing I love more than thrifting is seeing someone else’s thrifted finds! I so look forward to these posts. Thanks Tracey. Thank you! Helps to know someone likes them and it’s not just me bragging…what is your favorite recent find? 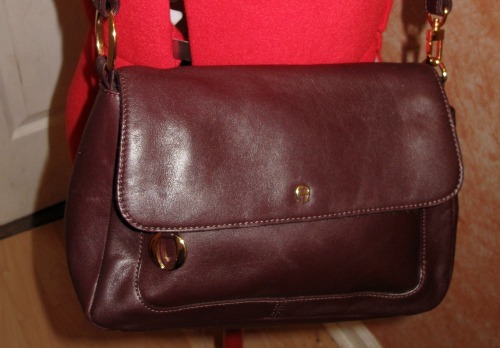 My most recent fave is a coach bag in new condition for $6. It isn’t one with Cs on it, so I can only guess they didn’t know what they had. It is in stores selling for $198. My husband actually said, “Congratulations,” on that one! I LOVE finding something in a thrift shop that I’ve been looking at in retail. Wow! Great finds. I love the skirts. They will look great on your slim body. I too absolutely love flowers. Thank you. If you haven’t tried the counting points starting with dinner and going for 24 hrs, I highly encourage it! You did really well Tracey! Loving the skirts. The prices are fantastic. We have to pay more in charity shops in the UK. I thought I did well yesterday when I went to a charity shop, where I have found some nice necklaces in the past, and told them I was looking for a B&W one – and lo and behold they had exactly what I was looking for – for £1.50. 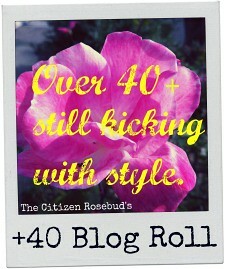 Hopefully you will see it soon on 40+Style! I envy those who find jewelry as I have never really been able to do so. Looking forward to pictures! I’ve been wanting a pair of black pointy flats. Can you guess what I found while thrifting on Monday? They were by Jessica Simpsom! Whoo Hoo! gotta love it when something so on trend shows up and in your size! My grey booties were that for me! Awesome thrift finds!! I love the white dress!! That is amazing you got it for $6.99. Thanks for the great tip about using the change jar as a budget! I’ll have to do that as my bi-monthly budget!